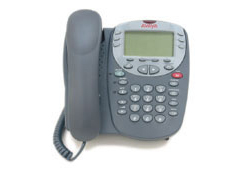 2410/541 Models - A digital display phone that delivers exceptional voice quality; paperless button labels, headset jack, large message waiting indicator light, 14 fixed feature keys and four softheys all help make it an ideal choice. 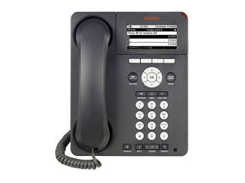 Avaya one-Xtm 9620L/9620C Models - High resolution displays (color on the 9620C) and easy access to features, web browser access, multiple directories and custom faceplate options. Integrated Gigabit Adapter (9620C) to connect to your network and built-in VPN capability for remote working. 1408/1608 Models - Available in digital (1408) or IP (1608) formats, these phones combine a professional appearance with ease of use. 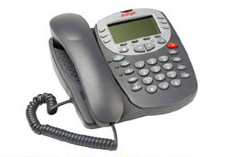 Users easily navigate through contacts and call logs, and the phone supports eight line appearances and feature keys. Headset compatible. 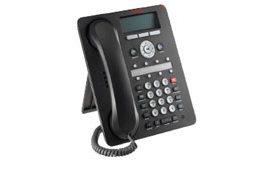 5610 Model - With its Web browser functionality, large display, and array of paperless button labels, this IP phone makes it easy for users to access information and reach colleagues quickly and easily. 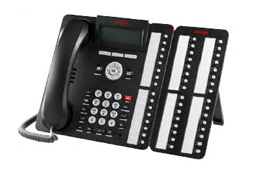 1416/1616 Models - Available in digital (1416) or IP (1616) formats, offers a large display with adjustable viewing angle, up to three 32-button expansion modules, and support for wireless headsets.